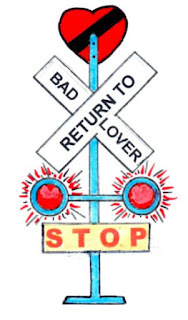 Synopsis: Alicia’s return to pain; her escape; And her favorite, most powerful, love destruction-blocking technique in seven easily learned step. With tears running down her cheeks Alicia sobbed, “How can I stop myself from going back to him? Every time I do it’s worse than the time before! When am I ever going to learn? It can never work. I don’t even like him anymore. If I keep going back to him I know it will destroy me. After I’m away from him for a while I get to a point where I keep remembering the early days when everything felt good. Then I do it all over again, except each time I’m getting hurt worse and I’m hating myself more for doing this to myself”. That was Alicia before she learned in counseling how to escape her destructive cycle and do a lot of healthy, self-love techniques which greatly empowered that escape. Alicia also learned how to block the things inside her that pushed her back toward that kind of false, destructive, addicting love relationship which repeatedly caused her so much agony. She typified a lot of men and women who attempt going back to the love nourishment that they once so enjoyed, only to discover there was no nourishment and instead only poison there now. Step One Purposefully, but briefly, remember one of the most painful and destructive episodes in the relationship history you have with the destructive, bad lover you need to stay away from. Remember the behaviors, the events – especially the pain, and anything else that made that experience bad. Let yourself be fully aware of everything that was awful during that time; don’t deny, or dodge, or make light of any of it. Briefly feel the agony of that awful episode. Step Two Now think up a good, brief title for that bad experience. Not a funny title, not a nostalgic title, not a sweet title nor a title that is in any way at all enjoyable. It needs to be like a movie or book title that sums up or clearly points to the total, bad experience. Here are a few examples that I am familiar with: “Raped Again”, “Broken Heart and Broken Body”, “Even When I Am with, I’m Alone”, “The Night I Found Him in Her”, “Nowhere Lower to Sink”, “Then Nothingness”, “Lost a Wife, Lost a Child, Lost Myself”, “When Death Became My Option”, “The Night of a Thousand Humiliations”. Step Three In large, bold, dark print write this title at the top of a card that you are going to carry with you. Step Four Repeat this process with four more of the other worst, most painful experiences you have had with the bad lover you have decided you need to stay away from. This will give you five, impactful titles on a card. It also will give you five titles summarizing the worst of your experiences with that person which are likely to, in some form or another, be re-experienced if you continue to go back. Under the titles you might want to write down labels for the horrible emotions you felt in each experience. Some examples are: agony, anxiety, betrayed, cheated, depressed, drained, empty, fake, ground down, hate, inadequate, jealous, loveless, mangled, oppressed, prideless, etc. – you get the idea. Step Five Make several copies of this card, putting them close at hand wherever you have a phone, by your bed, at work, in your car, in your billfold and anywhere else you commonly look. Step Six Any time you start to think about your bad lover, anytime you have any thought about contacting or returning to that lover, any contacts you receive from that bad lover, and any time anything reminds you of that bad lover take out your card and start reading those titles. Remember the pain and ask yourself, “Am I on my way to having that agony, and probably worse, all over again?”. If you think, “This time it will be different” remind yourself of the agony you experienced after the last time you thought that, and read the title most appropriate to those thoughts. Step Seven Now go do a healthy act of upbeat self-love, preferably including some fairly active body movement. Remember, motions help to change emotions. Calling or otherwise connecting with someone who cares about you and getting some of their love would be a good idea. Taking yourself somewhere pleasant, listening to happy upbeat music, buying yourself a self-love gift, doing something fun erotically or otherwise, and giving thanks for the fact that you are not now, right this minute, in the deepest depths of the agony you once were suffering, like in the number one titled experience, and number two titled experience, etc. 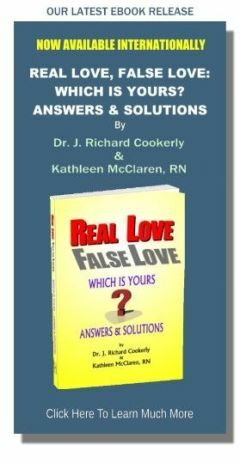 Many people have found this technique to be an excellent assistance in not going back to bad and false love situations. However, this is only an assistance technique and other work will probably be necessary. This technique is only one of many that may be useful to you and that you can learn for helping yourself. Working with a good, love knowledgeable counselor or therapist is likely to get you to a healthy outcome and on the road to a new, far healthier, romantic love life when you’re ready for that. Handling these difficulties all by yourself might not be your best way to deal with this kind of recurring difficulty. If trying by yourself was going to work you would have succeeded already, don’t you think? If you are hungry for new and better love are you taking the risk of going to truly new and different places where those who have and grow love are likely to be circulating? (Hint: places where people are working to help others, working for the advancement or improvements of living and related things, and places where people are learning about those things might be the kind of places to consider for taking such risks).